Resources for the 5Ds Framework | Edtech, Go! 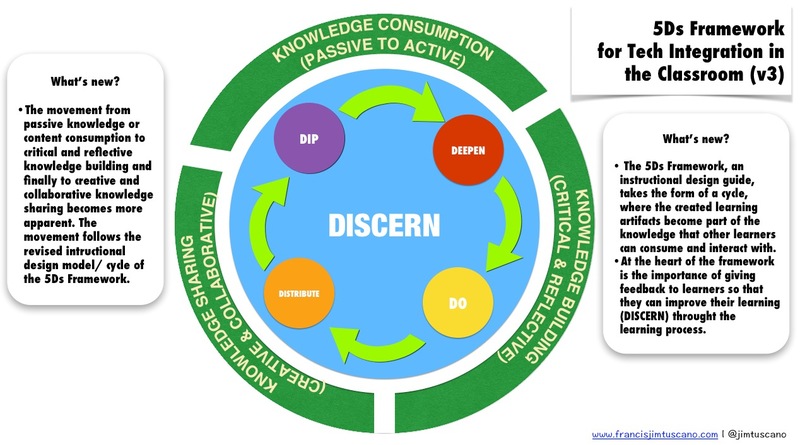 Learn more about the 5Ds Framework. 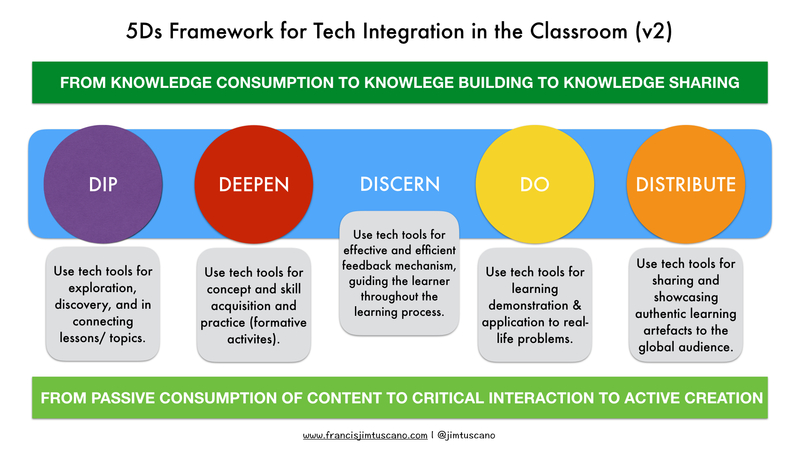 Explore the links to the resources in using 5Ds Framework for designing meaningful and purposeful tech-integrated learning activities in your classroom. Use the lesson planning guide as you start transforming teaching and learning in your classroom, school, local area, or in your country.